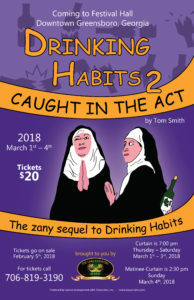 Make plans now to attend the zany sequel to Drinking Habits 2 Caught In the Act with performances March 1, 2, and 3 at 7 p.m. and on Sunday at 2:30 p.m. For tickets contact the Lake Country Players at 706-819-3109. 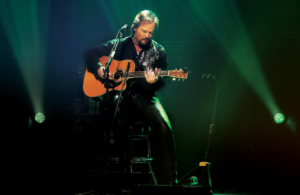 Travis Tritt in Concert March 17th – SOLD OUT! GREENSBORO, Ga. (January 29, 2018) – Six String Southern Productions is proud to present An Acoustic Evening with country music artist Travis Tritt on Saturday, March 17 at Festival Hall in historic Downtown Greensboro, Ga. There will be no opening support act. The show is sponsored by Budweiser and produced by Six String Southern Productions. 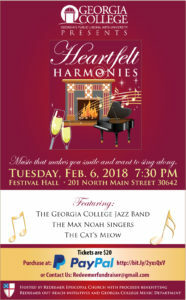 Tickets are General Admission seating and go on sale Friday, February 2 at 10:00am and will be available for purchase online at freshtix.com or by phone at 678-701-6114. 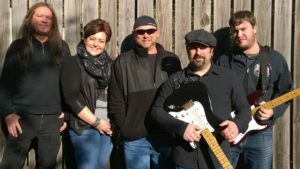 Based outside of Atlanta, Six String Southern Productions is a leading, independent Georgia concert promoter that, fueled by a passion for music, provides fans with a unique and enjoyable concert experience. In just four years, SSSP has worked in sizable rooms, ranging from 600-2,700 person capacities, and produced shows for artists such as Willie Nelson, Merle Haggard, Vince Gill, Dwight Yoakam and Travis Tritt. SSSP also specializes in consulting and buying talent for corporate and private events. Experience this comedic dramatization of unforgivness, resentment and jealousy in the home of a family matriarch whose dementia has restricted her strong will and independence. 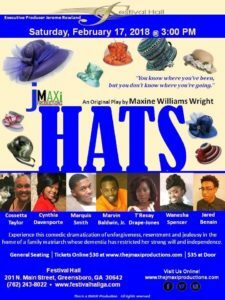 “You know where you’ve been, but you don’t know where you are going.” An original play by Maxine Williams Wright. General Seating – tickets may be purchased online at www.thejmaxiproductions.com $30. Tickets available at the door for $35. Performance at 3:00 p.m.
A celebration of Lake Oconee’s performer and native, Savannah Webb, is well overdue. “An Evening with Savannah Webb” First in a Hometown Series is slated for February 9, 2018 at 7:30 p.m. at Festival Hall in Greensboro. Tickets will be $20 per person and are now on sale. Sponsors are: Total Entertainment Management, Visit Lake Oconee, Standridge Color Corporation, Lake Oconee Event Company, 1212 Music Inc., Q92.3 FM, Just 4 Fun Radio, Webb Bros Supply Company, and Cheveux. A native of Greensboro, GA, Savannah always had a deep passion for music. When younger she joined her school’s chorus and developed her singing talent. Opportunities later opened doors for her and she began singing in a live band. She developed a bond with guitarist Josh Conner and began playing with his band in and around the Lake Oconee Area and in Macon. The two realized the band had reached a peek and lost incentive to progress into different genres of music. The two ventured out on their own as an acoustic duo. Savannah says, “Music heals the soul; that is the truth.” The winner of Oconee Idol 2014, and last year’s winner of Milledgeville Idol 2016, Savannah Webb is on the brink of producing her first album with legendary producer, Paul Hornsby of Muscadine Recording Studios in Macon, Ga.
Get your tickets online at www.festivalhallga.com.